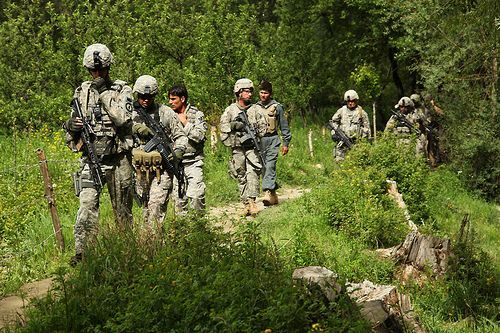 US Army Soldiers and Afghan national police officers walk down a path while on their way into the village of Sequala, Jalrez District, Wardak province, Afghanistan, on May 11, 2010. Photo via the US Army by Sgt. Russell Gilchrest.